NB. Postage and packaging will be extra or you can collect if you prefer. One of my latest illustrations was for Homeserve, they commissioned me to create an illustration depicting a typical domestic house. It is going to be used in information leaflets they give to customers informing them of the different kinds of cover they provide. They needed something that would show a typical house, all the rooms in the house and all household appliances. Previously a very functional technical drawing had been used to illustrate this - so it was decided that they needed a fresh illustration combining personality/warmth and humour to keep their customers interest. It was also stipulated that Homeserve would need to use different elements of the illustration depending on what they were showcasing. This meant they needed the ability to turn off elements of the illustration or show different areas in greater detail. The best way for me to achieve this was to create the illustration in Photoshop (using my pen and and tablet) with lots of separate layers. I created each room individually and each piece of furniture and appliance was created on different layers (enabling Homeserve to switch on and off as and when). I then built up the house with all the different layers: loft, bedroom, kitchen, lounge, garden and even the pipes throughout the house, inside and out. 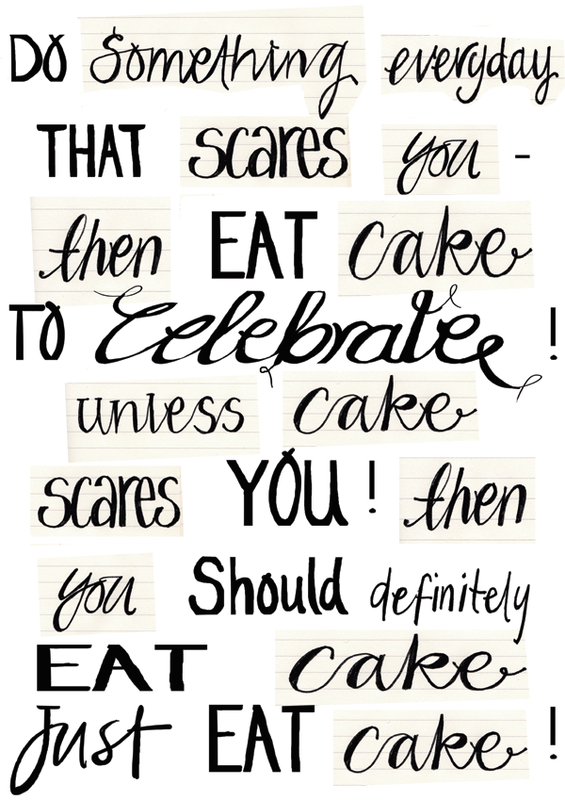 New Typography piece - for some reason it's about cake! This is a little illustration I created for my lovely friend Niki Whittle for her Style Studs and Lace Blog - Niki is an amazing personal stylist who also runs a really fun, informative and friendly blog full of style advice, and lots of great ideas for looking good whatever you are doing! Check it out here. I have been planning to do a new website for ages and I really struggled in the beginning to know what was best to do. I am not a web designer and don't have spare cash to throw at it!. I originally started with a fairly basic website builder Mr Site, which a good friend suggested. It was great for my first ever website, but as I grew as an illustrator and a business I found the Mr Site website far too restrictive. I wanted to be able to update my website regularly to keep it fresh and with the website I had I found that tricky. So I looked into having a bespoke website made with all the bells and whistles (there is so much you can do these days) which was way out of my budget, I then looked at buying a template and having a web designer put the site together for me again it was pretty expensive. So my only option was to use a website builder and do it myself, I wanted something professional and with the scope to grow (say I wanted an online shop or something to add to my site - watch this space!). A few website builder sites were suggested to me and template only sites (which you would need a web designer to do all the background stuff). After looking I eventually settled on Squarespace. I found they were the best mix of professionalism, flexibility, had loads of features and were not too expensive. After finding a template that would work for me (one I could follow but also manipulate to do what I wanted) I signed up for a year. It took a little while to work my way around the site but I found loads of useful helps and tips and I could contact someone at Squarespace any time and get a helpful response. I am really pleased with the outcome, I would like to think I have created a quirky fun site that feels like me but is also professional and works seamlessly. I would definitely recommend Squarespace if you are thinking of creating a new site - even if you have no prior knowledge of designing a website - as you can simply follow a template design step by step and if you want to get more creative you can. Anyhoo I am very happy with the outcome and the blog on the template is great too really simple and easy to use and sits nicely within my site. I hope this has been useful - I would love to hear your comments! I also used Squarespace to create this website for some clients. 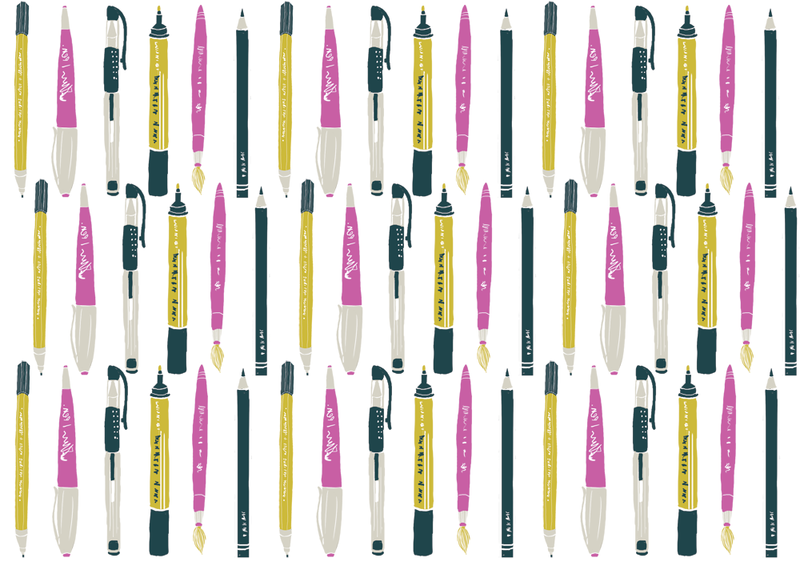 'Tools of my trade' - this could become a regular post, I think it would be great to do an illustrated pattern of tools of different trades - What do you think? This was a fun project - a new website for a lovely Guest House based in Bristol - I used the colours from the guesthouse windows and flowers surrounding the building to help create the logo, I also created a few little illustrations of the Farmhouse to give a warm and welcoming feel to the site. BTW if you ever need anywhere homely and comfortable to stay in Bristol with stunning views you really should visit here and also check out the website. I recently created some illustrations for an article about house maintenance for HomeServe (rock and roll!). It was actually a really fun commission to do and I learnt something along the way which is always a bonus. So if you want to keep your house in good condition follow this guide. No not Christmas! Not Yet! I was sat in the heatwave in July creating these Christmassy illustrations for Papercraft Inspirations, which felt a little odd! Anyway Papercraft Inspirations is available in shops now and has lots of lovely Christmas projects to get you in the mood (or if your like me you won't want to think about christmas until at least December!) You can download your free printables here. I also created a few patterned christmas papers - I think the one below would make good wrapping paper! The latest addition of Papercraft Inspirations is out with my Retro caravan designs - you can print out free papers here to design your own cards from The Making Spot. You an even print out your own 3D caravan to make into a little gift box. Lets go camping yay! Just received our wedding invite through the post that I designed for Gary and Nat - so excited about there upcoming wedding it's gonna be one great big amazing party woo hoo! 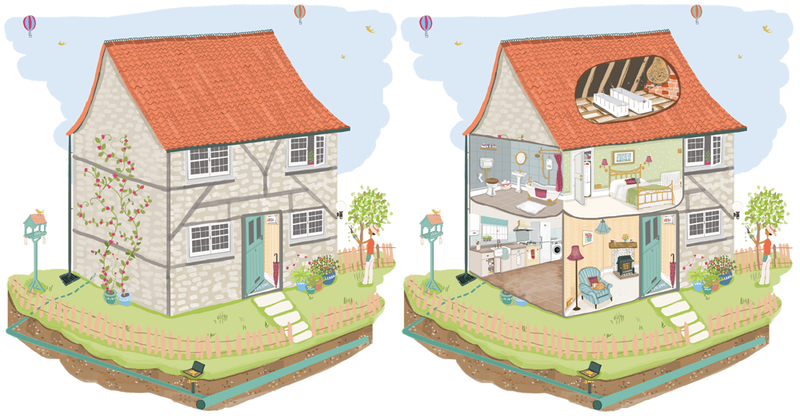 I created these 2 illustrations for my friends birthday depicting her, her husband and doggies outside there lovely little cottage 'Wooders' - I couldn't decide which to give her so I gave her both! A showcase of new work and other such delights. 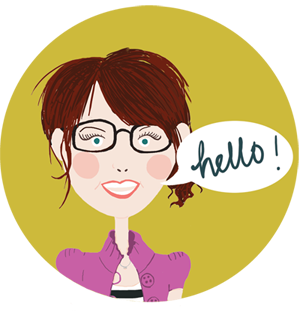 This blog will showcase my illustrations and more plus any musings or little bits that inspire and delight. I like drawing things. I also like Nutella – a lot, vistas, anything food related, pretty shiny things, shoes are good and drawing any of the above is what I do best (well it keeps me out of trouble and stops me annoying my husband). I love living in Bristol where I can indulge in the views across the city and the amazing array of foody places, there is even a shop devoted to chocolate – what more could I want? Well possibly a chocolate pen! Images and text are copyright © Naomi Skinner. Moral rights are asserted in accordance with the UK Copyright, Design and Patents Act 1988 and applicable legislation and conventions worldwide. Unauthorised copying, reproduction or distribution is not permitted.